Hopefully that has clarified things for you and as was previously mentioned if there is something that you aren’t sure whether you need or not it’s usually safer to leave cookies enabled in case it does interact with one of the features you use on our site. However if you are still looking for more information you can contact us through one the email address below. Sign up for new book announcements and free printable pages! 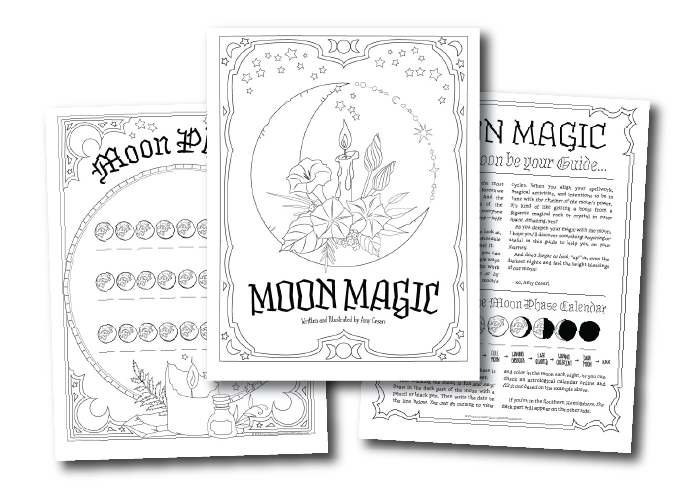 Get this Moon Magic set now! Thanks! Check your email to confirm your sign up and get the first 3 pages. Southern Hemisphere 2019 Planner… with Special Guest Editor Fiona Horne! How to Color a Pumpkin & Fun Practice Sheets!